Beefalo is a species cross between Bison (buffalo) and domestic cattle of any breed. Also referred to as Cattalo or the American hybrid in Canada, they are a fertile hybrid offspring of domestic cattle, usually a male in managed breeding programs, and the Bison, aka American buffalo, usually a female in managed breeding programs. The first deliberate attempts to cross breed bison with cattle was that of Col Samuel Bedson, warden of Stoney Mountain Penitentiary, Winnipeg, in 1880. 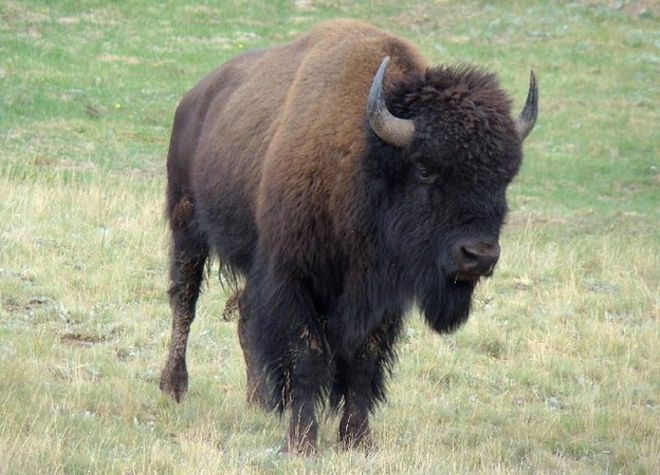 Bedson bought eight bison from a captive herd of James McKay and inter-bred them with Durham cattle. After seeing thousands of cattle die in a Kansas blizzard in 1886, Charles "Buffalo" Jones, a co-founder of Garden City, Kansas, also worked to cross bison and cattle at a ranch near the future Grand Canyon National Park, with the hope the animals could survive the harsh winters. He called the result "cattalo" in 1888. As for the term Cattalo? The term cattalo is defined by United States law as a cross of bison and cattle which have a bison appearance; in Canada, however, the term is used for hybrids of all degrees and appearance. In the U.S., cattalo are regulated as "exotic animals", along with pure bison and deer. Mossom Boyd of Bobcaygeon, Ontario first started the practice in Canada. After his death in 1914, the Canadian government continued experiments in crossbreeding up to 1964, with little success. For example, in 1936 the Canadian government had successfully cross-bred 30 cattalos. Lawrence Boyd continues the crossbreeding work of his grandfather on a farm in Alberta. It was found early on that crossing a male bison with a domestic cow would produce few offspring, but that crossing a domestic bull with a bison cow apparently solved the problem. The female offspring proved fertile, but rarely so for the males. Although the cattalo performed well, the mating problems meant the breeder had to maintain a herd of wild and difficult-to-handle bison cows. As anyone can see, many had tried to cross the bison and bovine but it was not until the 1960s that a major breakthrough took place. In 1965, Jim Burnett of Montana produced a hybrid bull that was fertile. Soon after, Cory Skowronek of California formed the World Beefalo Association and began marketing the hybrids as a new breed. 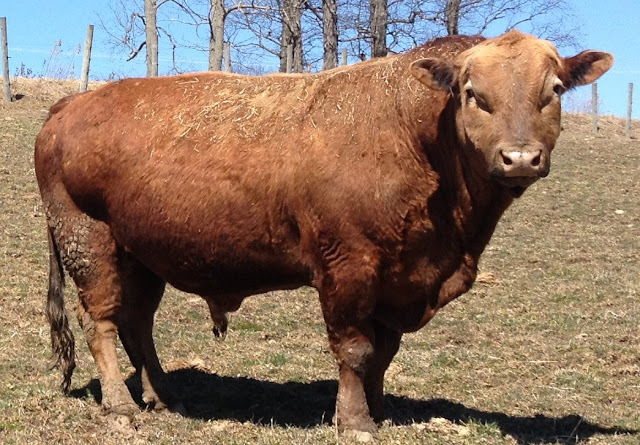 The new name, Beefalo, was meant to separate this hybrid from the problems associated with the old cattalo hybrids. The breed was eventually set at being genetically at least five-eighths Bos taurus and at most three-eighths Bison bison. In 1983, the three main Beefalo registration groups reorganized under the American Beefalo World Registry. Until November 2008, there were two Beefalo associations, the American Beefalo World Registry and American Beefalo International. These organizations jointly formed the American Beefalo Association, Inc., which currently operates as the registering body for Beefalo in the United States. So why do it? Why bother crossing bison with bovine? The purpose of the species cross was to blend the outstanding qualities of the Bison with outstanding qualities of the bovine breeds of the world. The breed was created to combine the characteristics of both animals for beef production. The cross between the Bison and beef breeds combined the superior hardiness, foraging ability, calving ease, and meat quality of the Bison with the fertility, milking ability, and ease of handling from the bovine. The cross has also given increased meaning to the term of hybrid vigor. Beefalo animals can be more efficient, which can cut input costs and improve profits. The basis of the Beefalo program is the full-blood, an animal which is exactly 3/8 Bison and 5/8 bovine. There is no stipulation on the breed used to make up the 5/8 bovine, but any of the beef breeds is generally used. A United States Department of Agriculture study showed Beefalo meat, like bison meat, to be lower in fat and cholesterol. The association claims Beefalo are better able to tolerate cold and need less assistance calving than cattle, while having domestic cattle's docile nature and fast growth rate; they are also thought to produce less damage to range land than cattle. The cross between the bison and the domestic and exotic beef breeds resulted in the best of both species coming together to produce a superior animal.